Kara started working at Hairmates Salon in Stoneham as a receptionist back in 2005. After graduating New England Hair Academy in 2007, she began attending classes in cutting, styling, and coloring where she acquired great knowledge and skills that helped her to build a strong clientele. 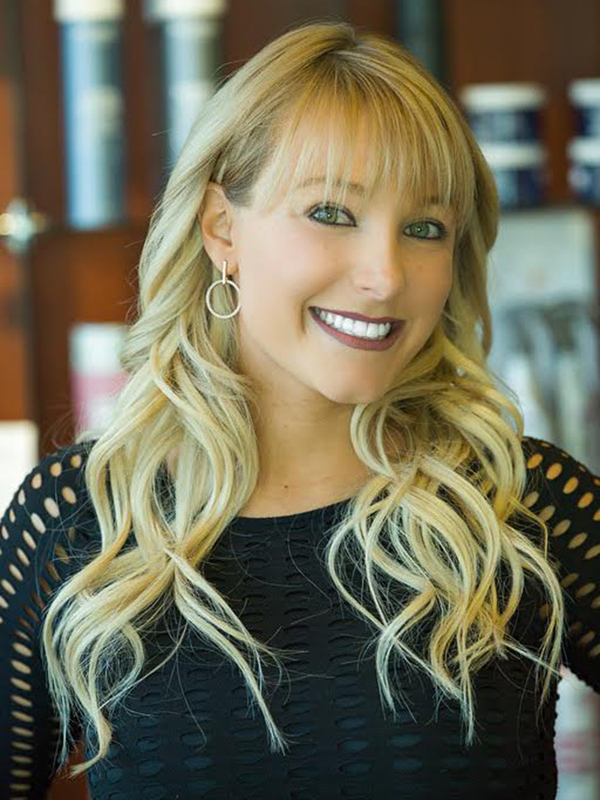 Her experience and knowledge includes all those listed to the left, as well as Balayage color/highlight techniques, Olaplex Treatments, Brazilian Blowout, and hair upgrading options that will protect your hair from further future damage. Kara has had many opportunities to do hair for fashion shows, including Boston Fashion Week and magazine shoots, such as Upscale Living. She has had the pleasure of working with celebrity make-up artist Debra Macki behind the scene and on site at fashion shows, concerts, and photo shoots. Kara has also been a featured hair stylist in music videos such as “All Night” by Maverick (JAMN94.5) featuring Renee Marcou, “Don’t Let Go” by Renee Marcou, and “This Party’s On Fire” by JADA Music Group. Kara loves doing formal styles, updos, for weddings, proms, communions, and any other formal/special occasion! She specializes in cutting and styling curly hair, as well as educating those on how to keep those fabulous curls tamed outside the salon!